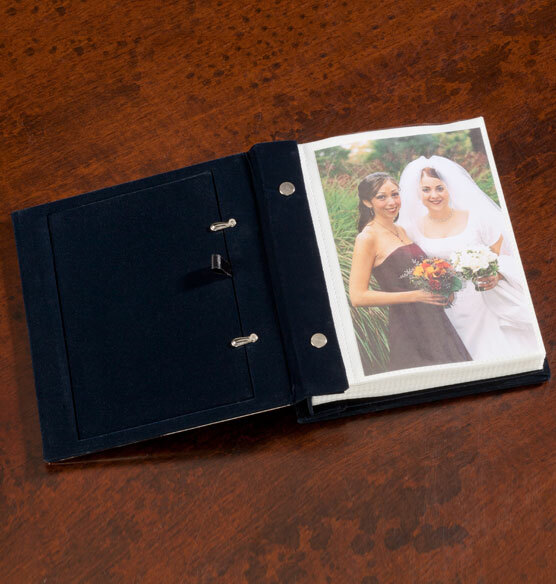 The perfect special occasion gift, this elegantly simple silverplate frame album displays a photo on the front to showcase what’s inside. The gleaming silverplate cover is personalized to commemorate the event. Inside, display up to 100 photos. 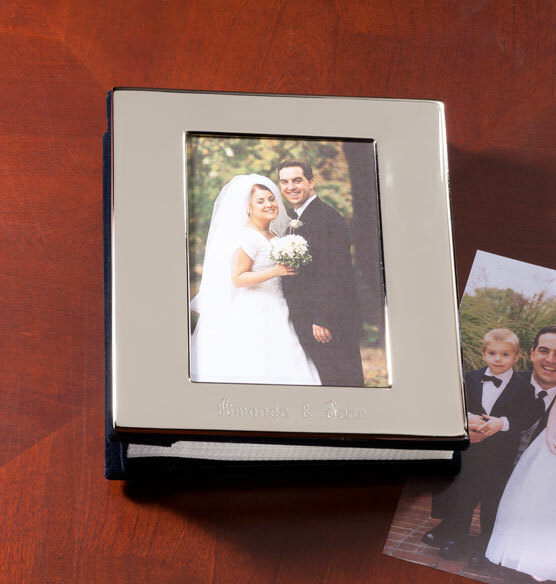 This personalized photo album makes a great way to show off a set of photos from a baby shower, wedding, anniversary and more. With bridal albums so expensive, decided to make my own. Right size and great price. Are these pocket or magnetic pages? BEST ANSWER: Thank you for your question. These are pocket pages. We hope this information will be of help to you. Is there black velvet on the spine and back? 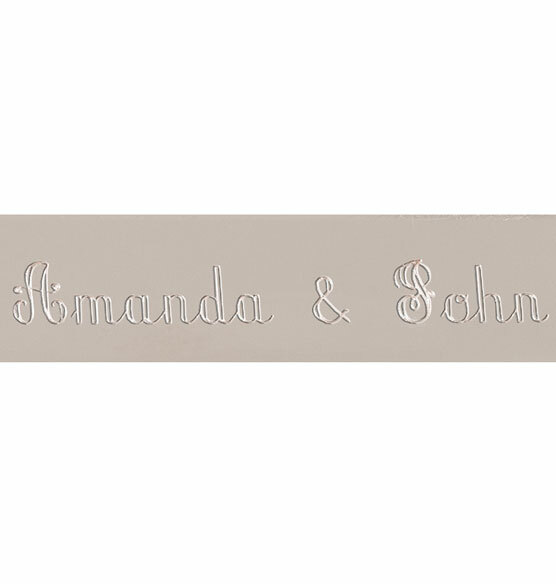 BEST ANSWER: The front is silver with lovely personalized engraving and the spine and back are black velvet. I don't want a photo albumn with lines on the pages and I don't see any of this silver-plate photo albumn. However, the description says there is room for captions. Are there? BEST ANSWER: Thank you for your question. It does not have room for captions, as this is a copy error that we are having corrected. Inside are 4x6 photo pockets only.We hope this information will be of help to you.